How do I help my 14-year-old cope with the Aurora movie theater shooting? 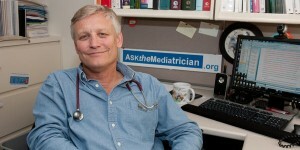 Posted July 24, 2012 under Ask the Mediatrician. Posted November 23, 2011 under Ask the Mediatrician. Do negative portrayals of Black women in movies affect how teens view them? Posted December 8, 2009 under Ask the Mediatrician. Q: Do the negative portrayals of Black women in movies affects how teens view Black girls and women?